I received Applied Oracle Security in the post this weekend from Amazon. Yes they are still selling actual books, as well as offering Amazing Elastic Clouds to the masses. Being Oracle Press I expected the book to be from the Oracle vendor perspective, but having said that David Knox’s previous Oracle Press book was a very good read, so let’s start with a positive open mind. 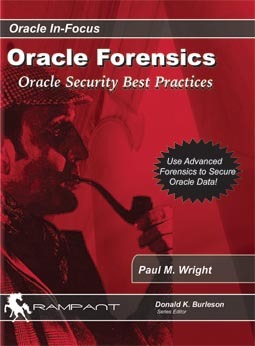 The Database Vault chapter looks good with a fundamentals and advanced section. DBV is beginning to be taken up, though if a low priv user can make themselves DBA and a DBA can make themselves SYSDBA then the added icing on the cake of DBV should not be relied on in it’s self. Need to firm up the foundations as well. There are a couple of nice Apex security chapters though I have not used this software much commercially, I can see its appeal. The book includes a chapter on Audit Vault which runs as the Oracle unix user so is susceptible to escalations giving ability to tamper with the audit trail mechanism. Sentrigo HH runs as a seperate user from Oracle so this is not an issue for HH. If you are interested in either DBV or Apex then worth buying the book. It is not on Safari but can be purchased electronically for Kindle. My current perspective on Oracle security is that there are a few central basic core improvements that could be made to the Oracle DB to allow more direct access to users securely. One of these is the issue of how to allocate privileges on PL packages efficiently. If a package is found to be vulnerable then public execute is revoked and privileges to the user that requires it are granted. BUT have a think why public was granted in the first place. Of course major changes to the core RDBMS are not easy, but it is good to have a wish list.